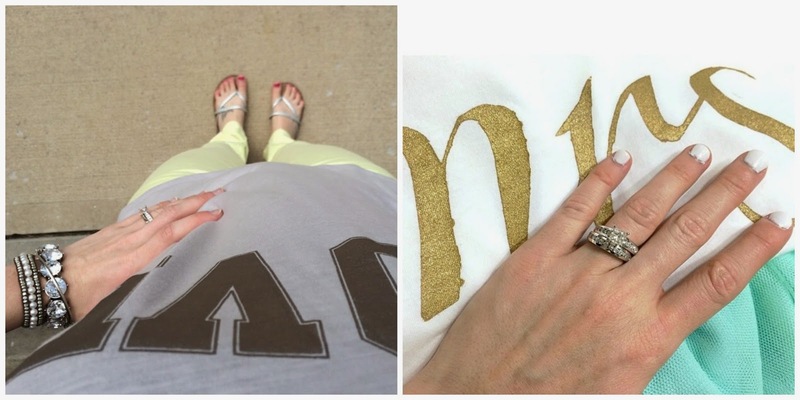 Made In The Shade Blog: OOTD - Instagram Outfit Recap! 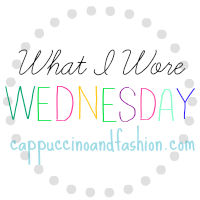 OOTD - Instagram Outfit Recap! You probably recognize the first outfit from last week, but I am pretty sure that this jacket is going to become my favorite layering piece for the summer! Not to mention, those yellow jeans are just an awesome staple for summer AND fall. 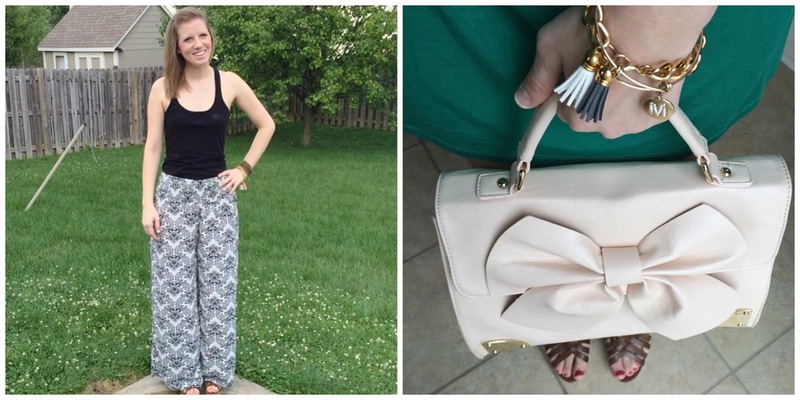 Ever since I got my first pair of palazzo pants, I am looking for more! I love the smocked waist on these - if you have any suggestions on similar ones let me know! I went to a bridal shower over the weekend and wore this simple green jersey dress and spiced it up with my bow purse and gold bracelets! 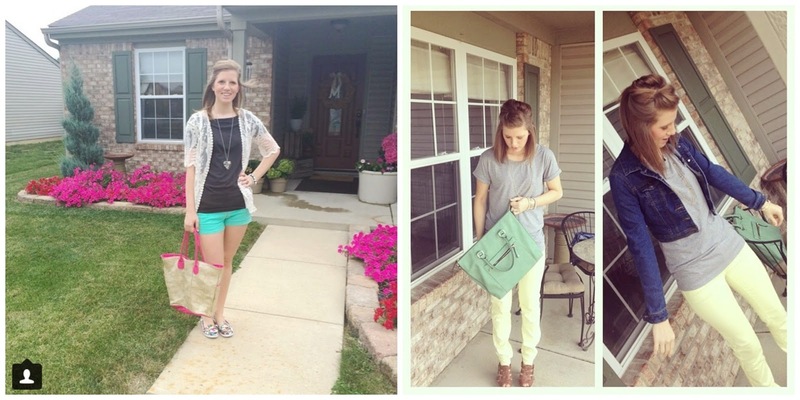 These OOTD's are from way back, but still some of the best! You've seen this maxi several times on instagram because it's just so dang versatile and easy to style. Which is my kind of outfit in a hurry or pinch. The neon aztec top was more difficult for me to style and feel confident in, but I am so glad that I wore it! It's the perfect shade for this summer! Both of these pictures and styles were for my sister's bridal showers! 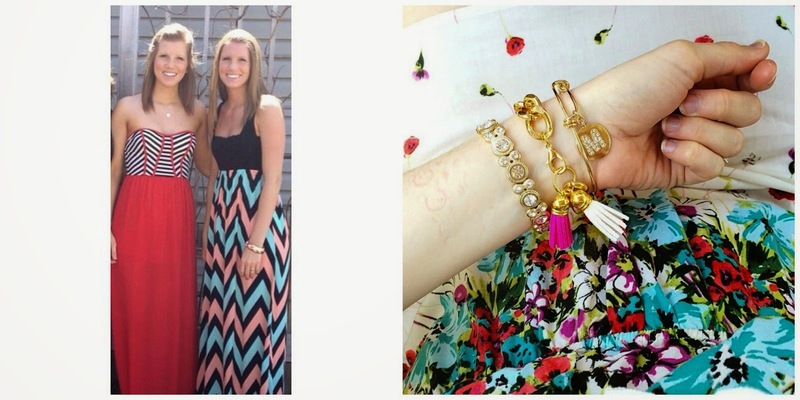 Closet Candy Boutique really has awesome maxi style! I have loved all my purchases from there. These maxis are great for showers and weddings! This Target dress is actually a few years old, but the floral print just seems to never go out of style! I love all the bright colors! 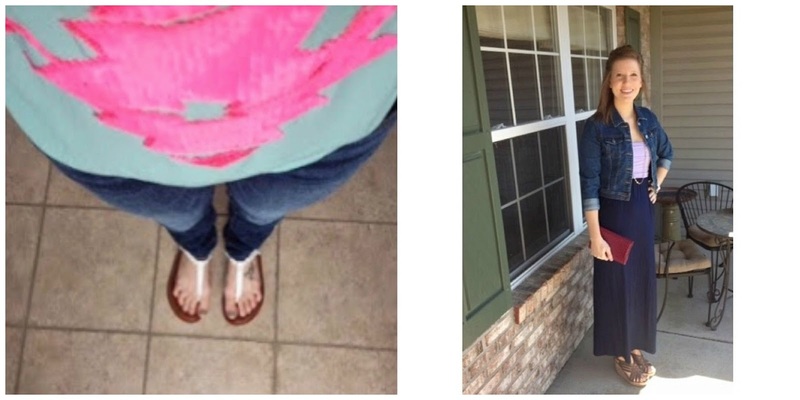 I wore the outfit on the left to shop today - it's hot outside and cold inside so this was the perfect combo! Again with the yellow skinny jeans :) are you tired of seeing them yet? 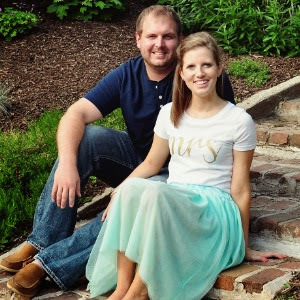 The gold shirt and tulle skirt was perfect for our anniversary photos, and would be perfect for a weekend date day with the hubs! What are your favorite instagram looks? 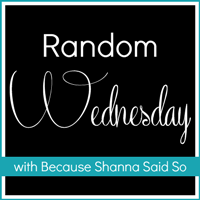 I am linking up with these lovely girls as usual this week! Love that bag with the bow on it! Those yellow jeans are perfect - I need to add some summer colored jeans to my wardrobe but I feel like I look a little funny in colored jeans! I love your insta-recaps! I've noticed that you have the best accessories in each of them - the purses but definitely your jewelry is amazing, too! Love all of these outfits! SO cute! Especially that maxi! Omgsh you are looking so cute in all your outfits--I am still obsessed with the tassel bracelets--where are they from again?! I think I need to order ha! Loving these looks!! That bow bag is adorable! both of those maxis are fabulous! and im still in love with that bag. I love the yellow jeans! I'm in love with those yellow jeans and the Aztec tank! Great Instagram recap! The maxi dresses are beautiful! loving the yellow jeans! I love wearing colored denim because it makes it look like i put way more effort into my outfit than i did! Loving ALL of this! You are giving me a serious shopping itch! Lovin those maxis! Perfect for the summer! You have such great style girl I always love your jewelry picks! What a fun recap! I love both of those maxi dresses! Palazzo pants are like Pringles, once you pop you can't stop! They are so comfy I wish I could wear them every day! Could you just cut out the cuteness! I love your outfits. They are so simple, but so cute! All of your outfits are just adorable!! I am loving that green bag though!! 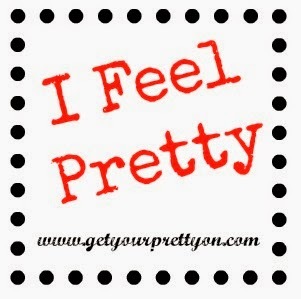 You are so pretty! I love your outfits!! Especially that bag from Francesca's and the way you are rocking those palazzo pants!